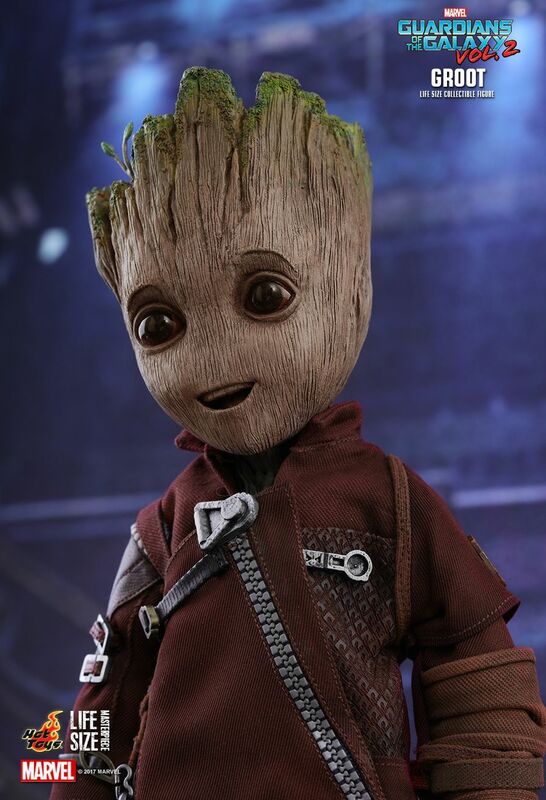 Since the debut of promotional materials from Marvel Studios’ highly anticipated blockbuster, Guardians of the Galaxy Vol. 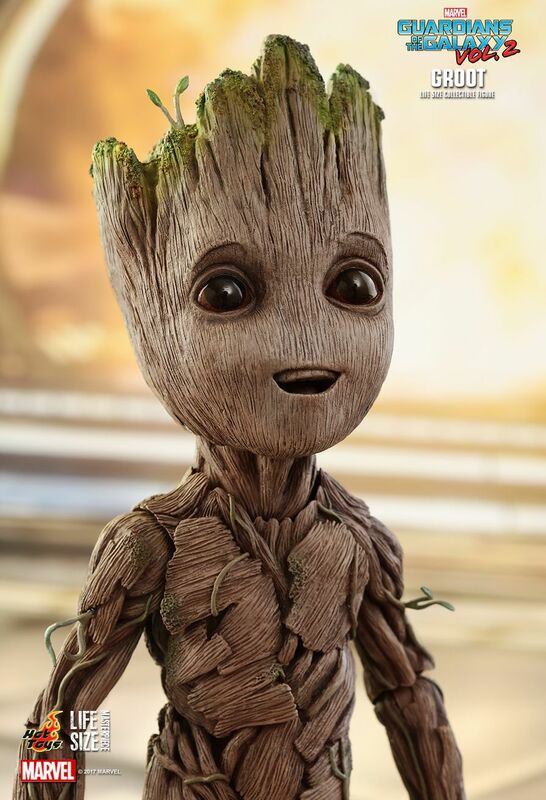 2, fans were instantly thrilled and captivated by the return of Groot, who has now grown a bit since we last saw him at the end of the first movie! 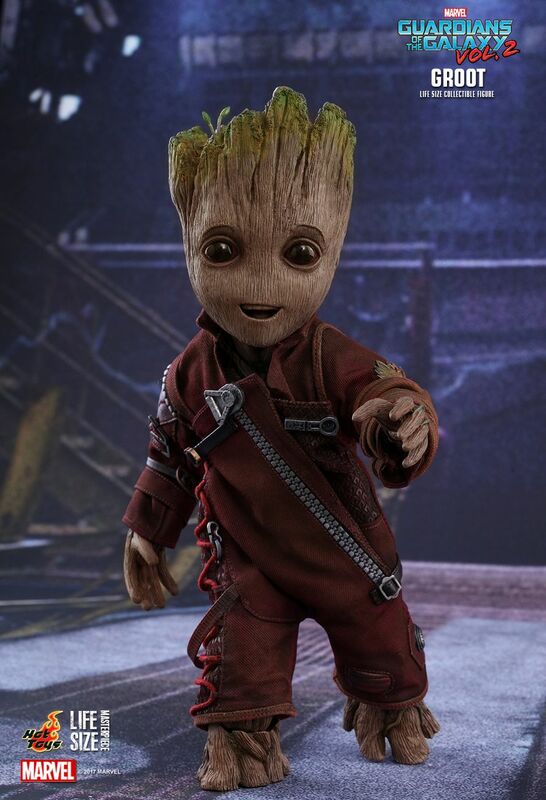 Attendees of the Guardians of the Galaxy Vol. 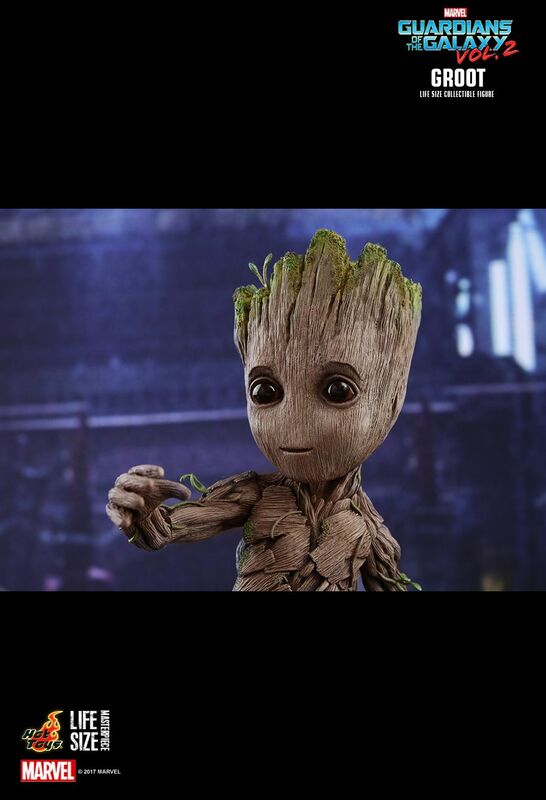 2 world premiere all expressed their huge love for Groot after seeing the movie. 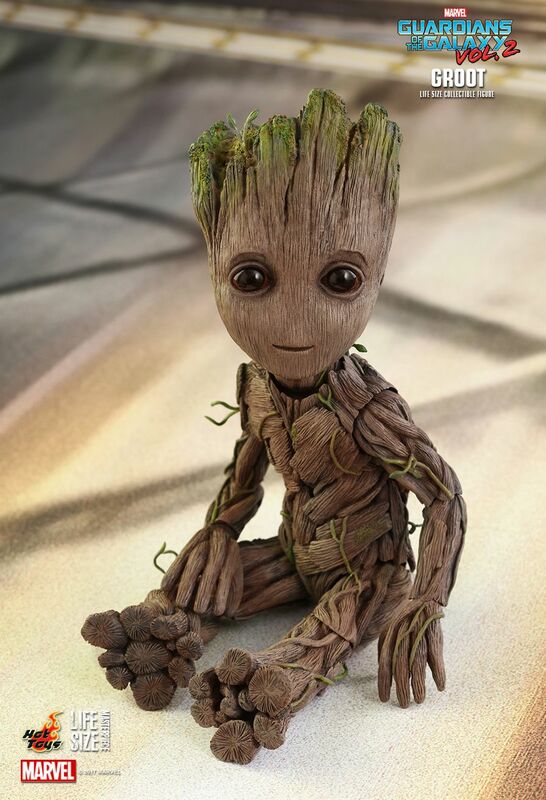 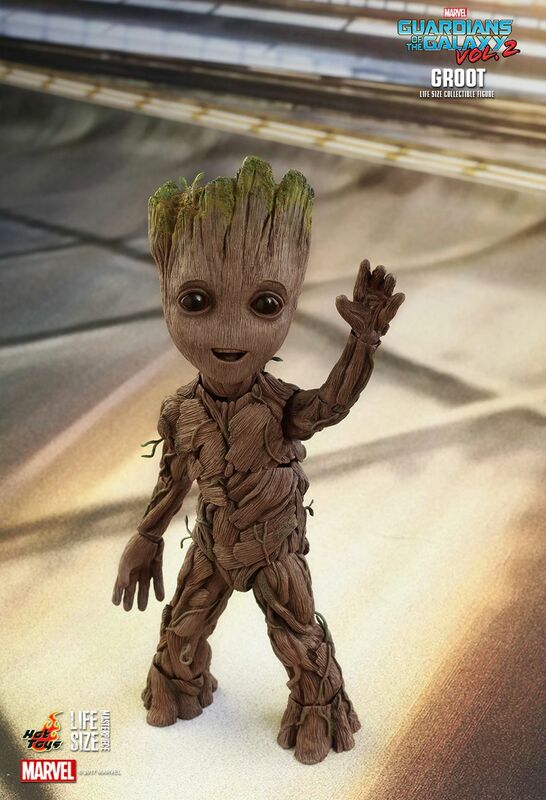 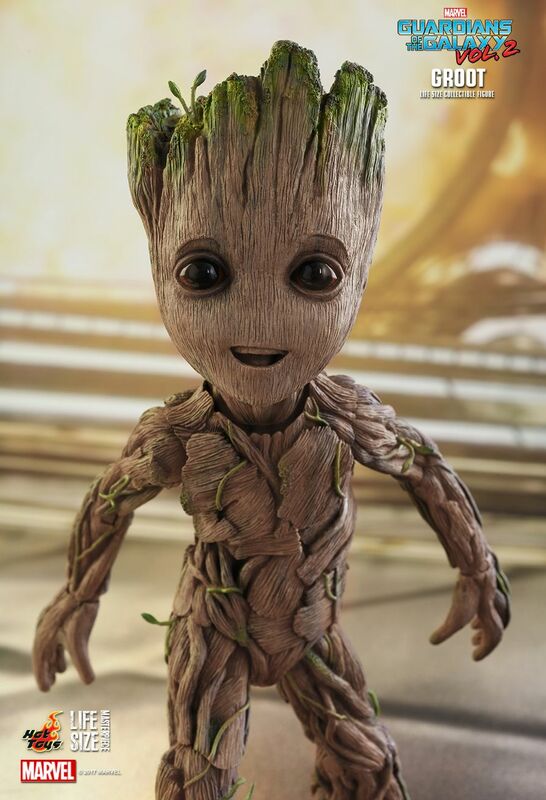 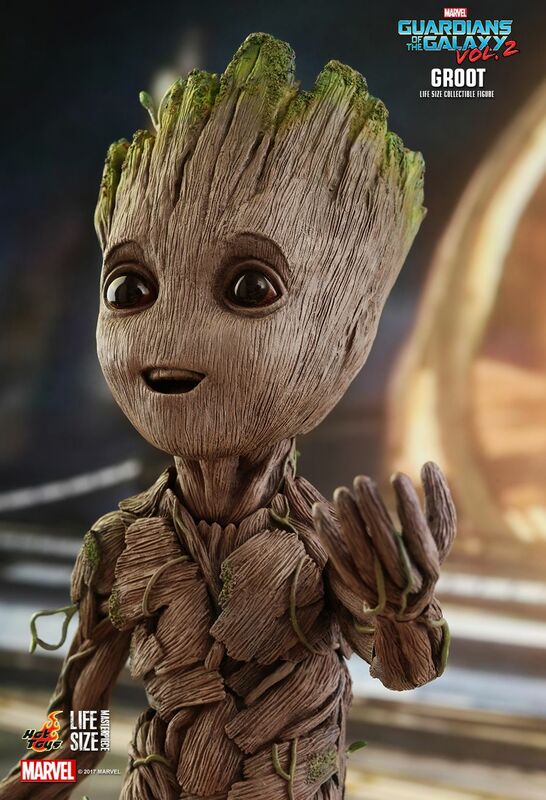 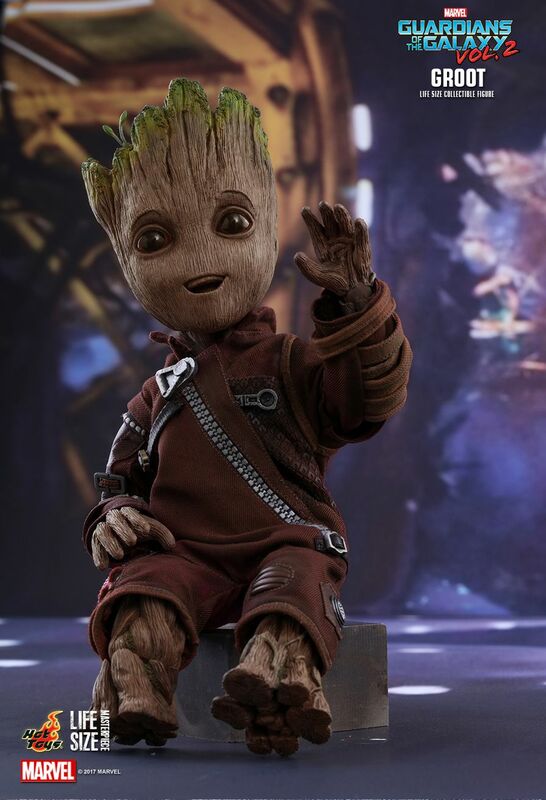 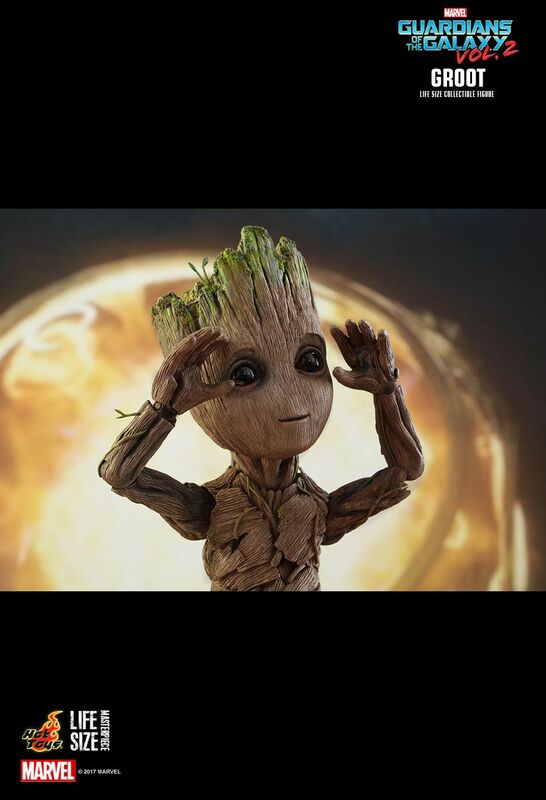 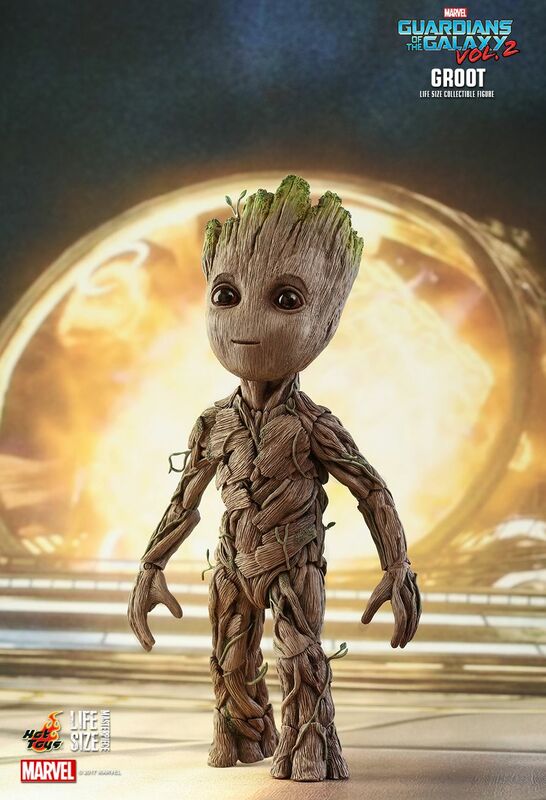 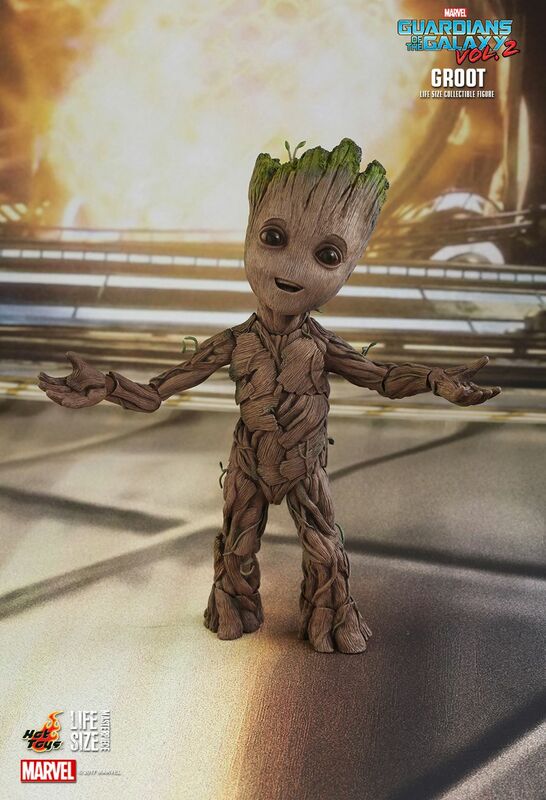 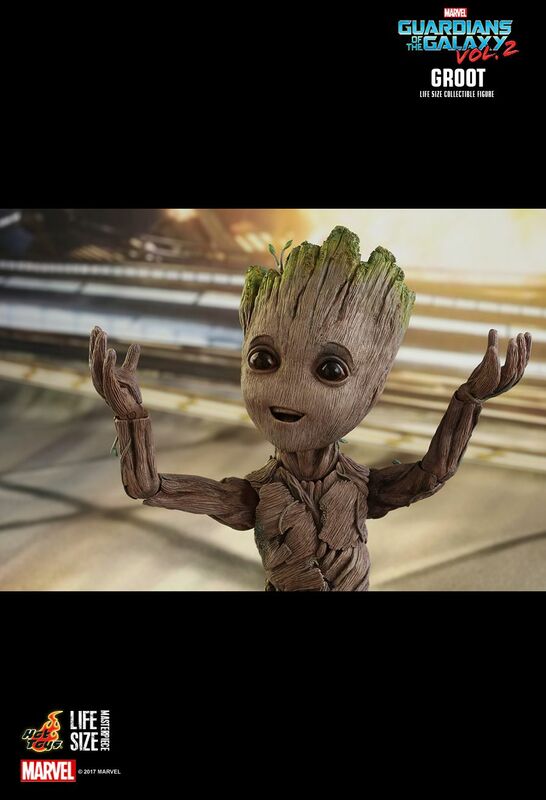 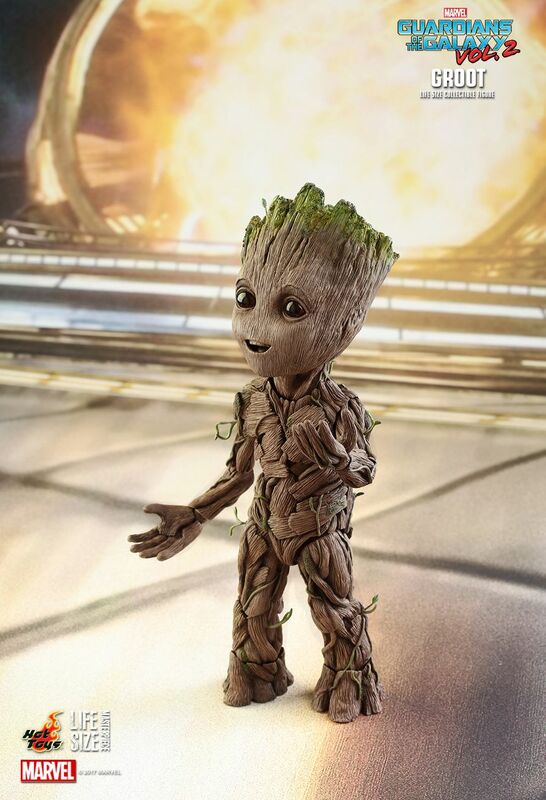 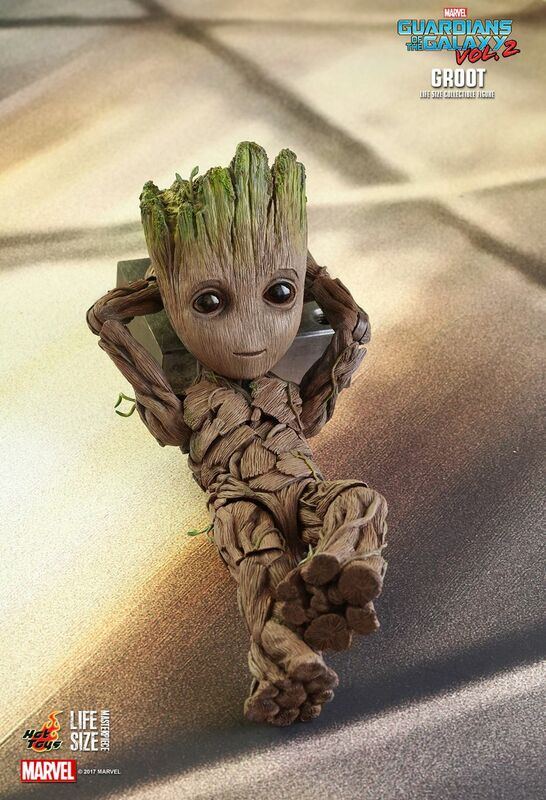 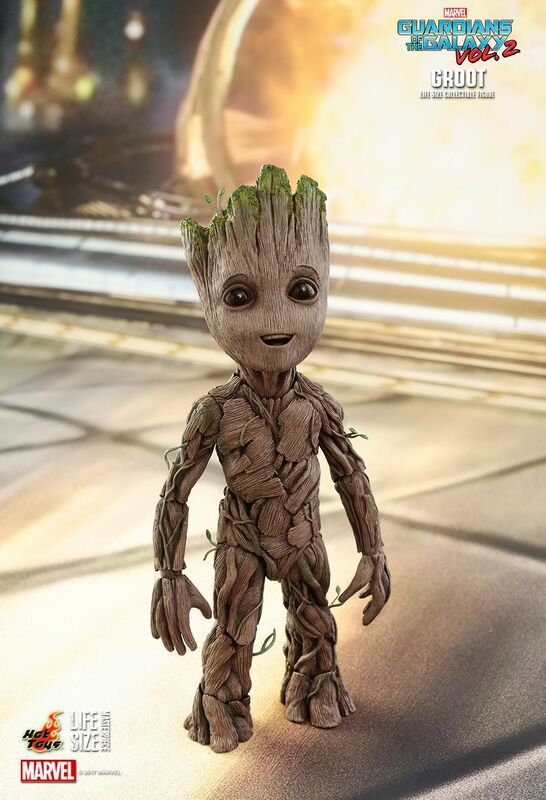 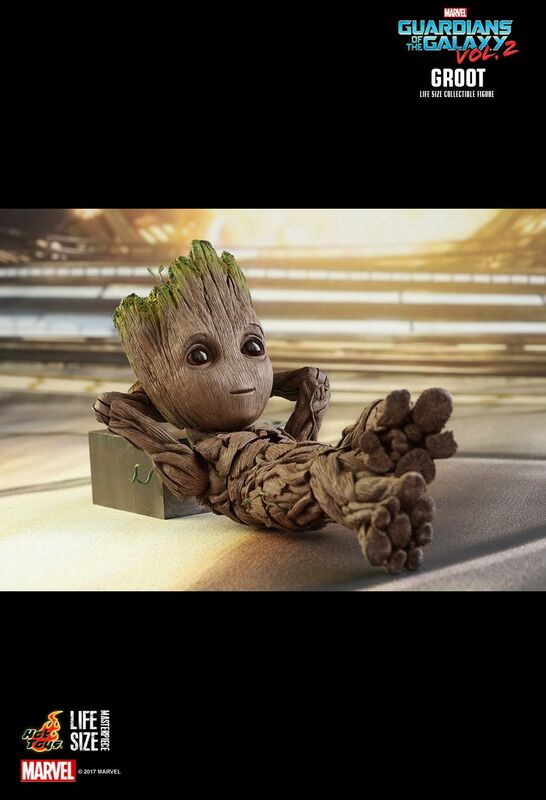 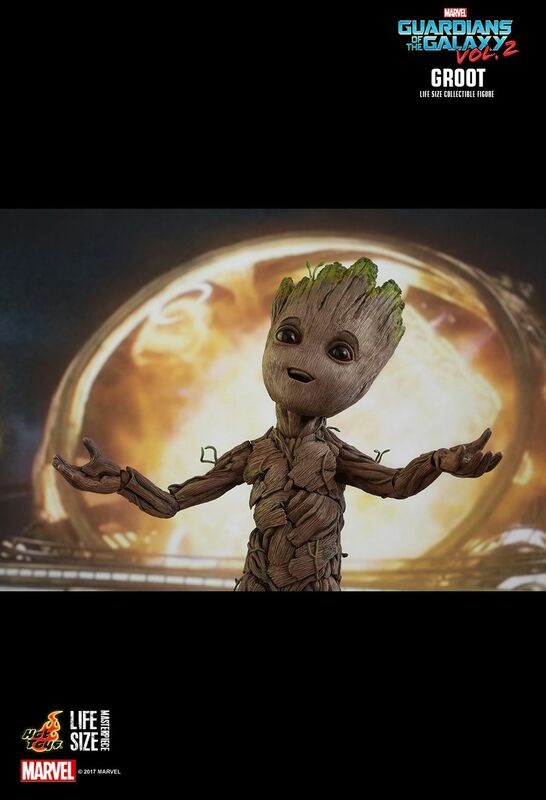 Today Hot Toys is extremely excited to introduce the Groot life-size collectible figure which is destined to be one of the most adorable Hot Toys life-size figures you’ll ever see! 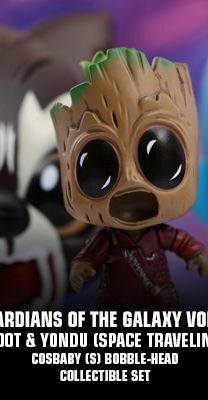 The Guardians of the Galaxy Vol. 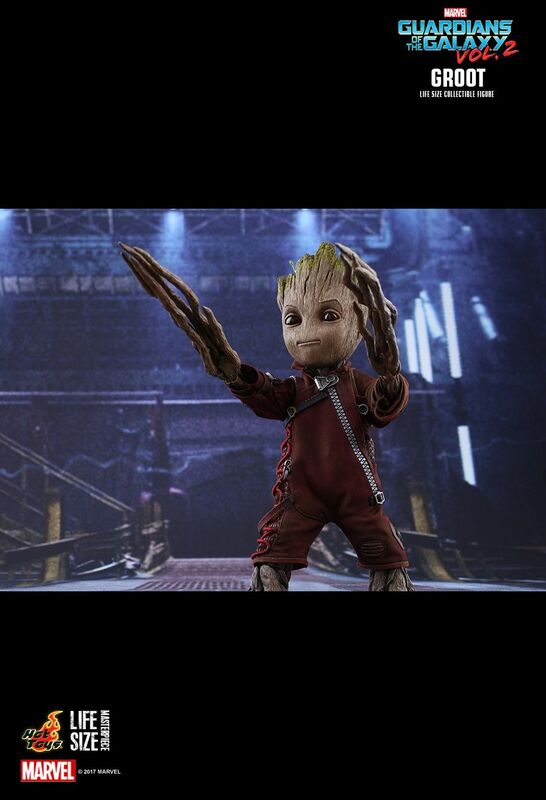 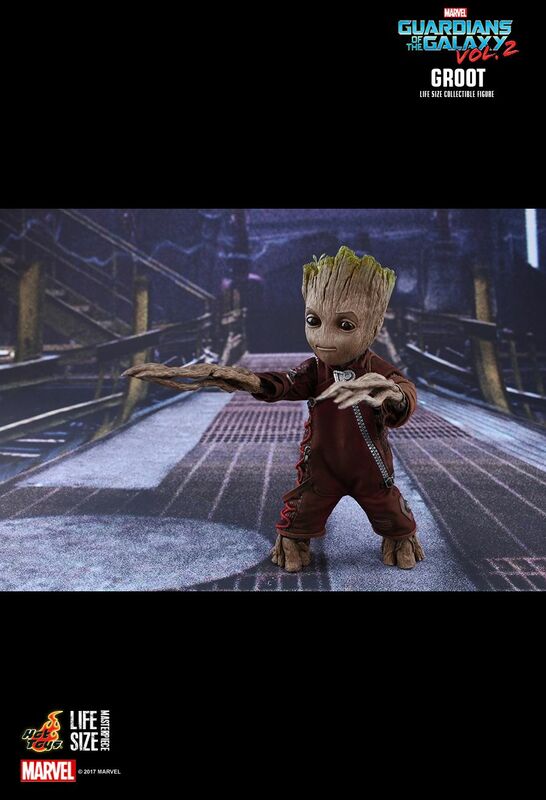 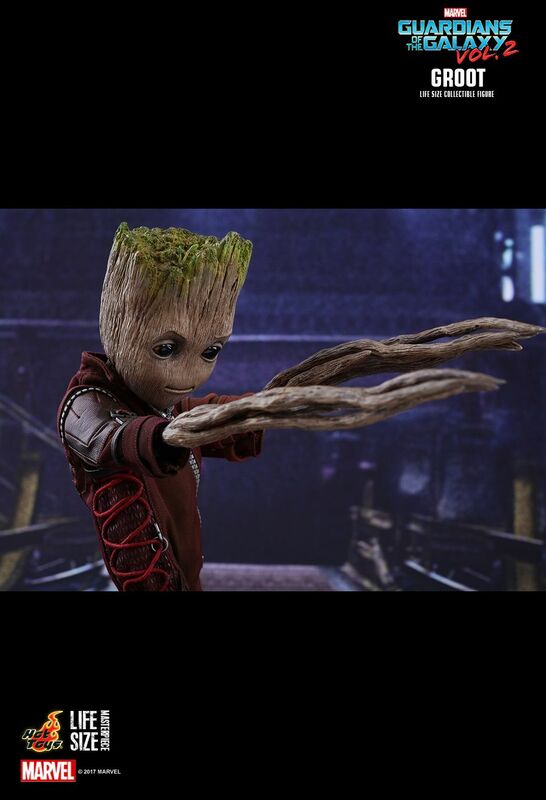 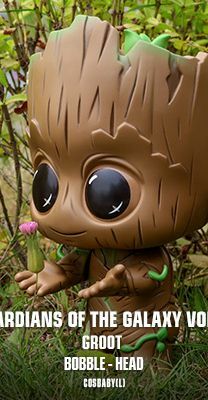 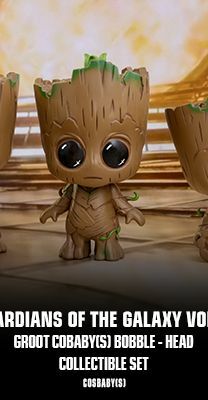 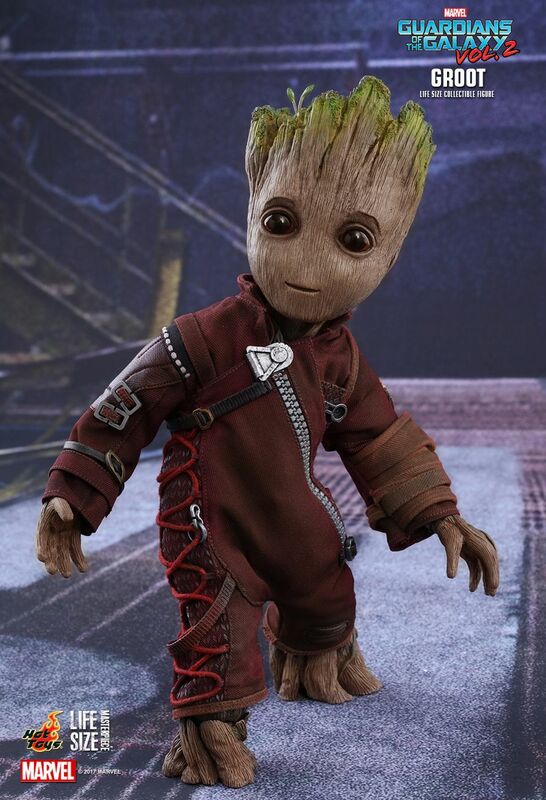 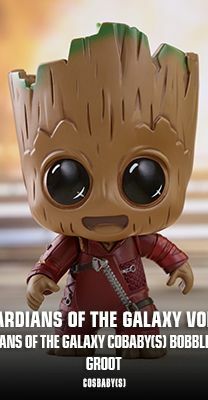 2 Groot life-size collectible figure stands approximately 26cm tall, featuring 3 interchangeable faces, newly developed body and expert paint applications to reflect Baby Groot’s unique appearance, a Ravagers outfit that be worn on the figure, and 2 pairs of interchangeable hands including a pair of extended attacking hands with embedded wires allowing a variety of poses! 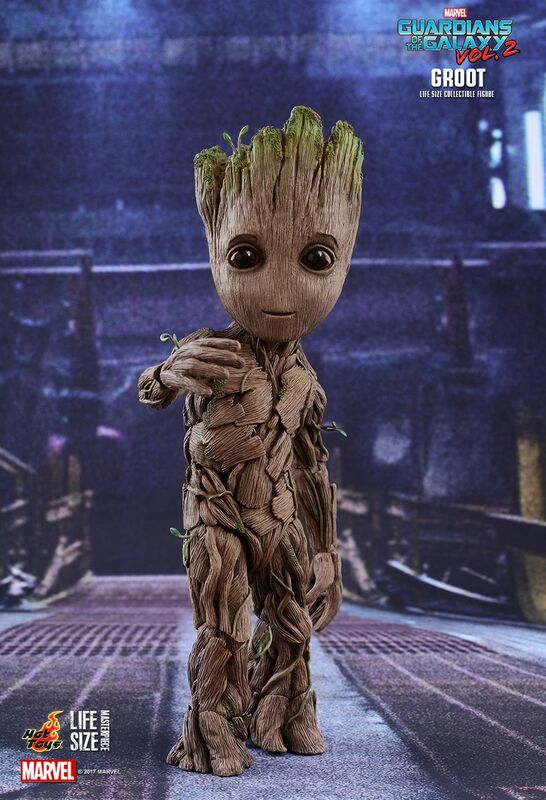 Don’t be afraid to push the button and bring this charming and lovable Groot life-size collectible figure home to your collection! 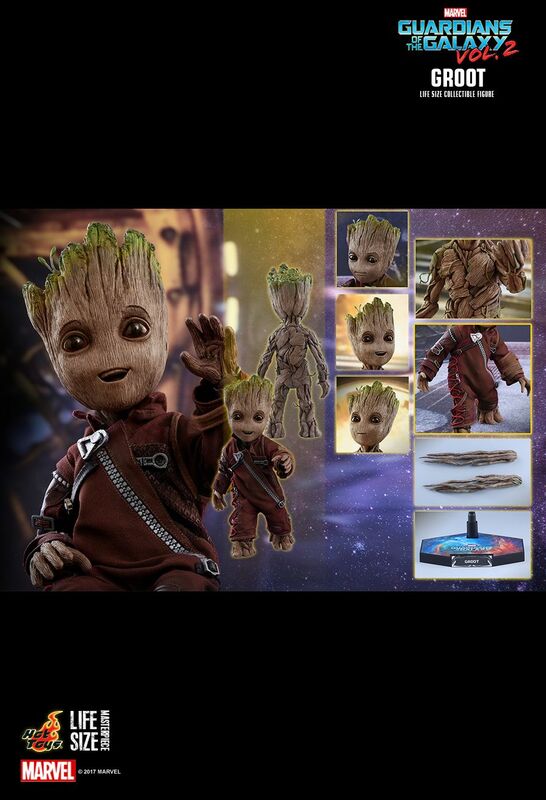 Special Features3 interchangeable faces, newly developed body, a Ravagers outfit that be worn on the figure, 2 pairs of interchangeable hands including a pair of extended attacking hands with embedded wires.